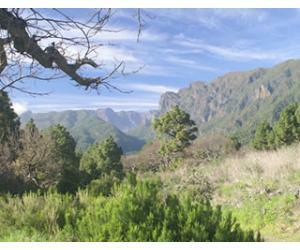 In April the weather keeps improving and there's a constant rise in temperatures towards the end on the month. Chances of rain are lower than in the previous month, so you can expect lots of sunny days where you can enjoy some early summer temperatures, which sometimes go over 25°C during the daytime. 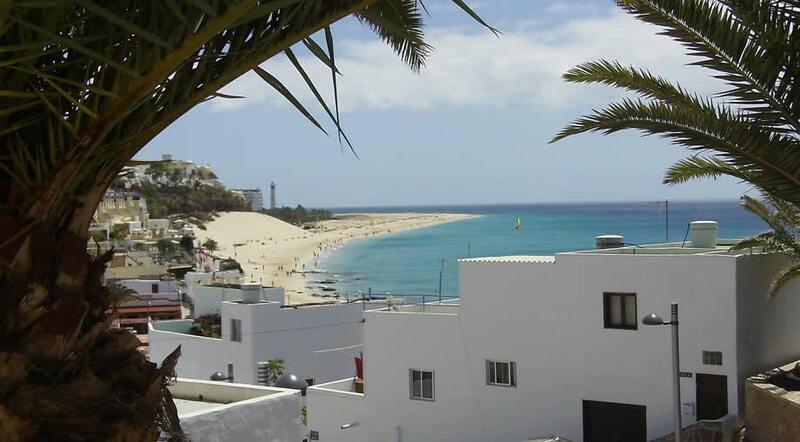 Some weeks in April can be quite busy in Fuerteventura, especially during Holy Week (when Holy Weeks happens to fall into April like it does in 2019) but also throughout the entirety of the school holiday in April. During these weeks the prices for flights and accommodation are highly inflated and you should book in advance if you want to get a good deal. 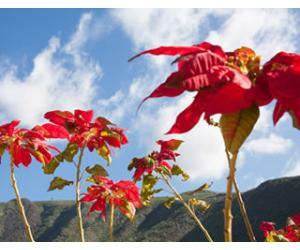 Although April is already spring time and the temperatures are on the rise on the European continent, the Canaries are still one of the best destinations at this time of year. Here you'll be able to sunbathe and go home with a tan, while in most other places in Europe you'll still need a jacket even during the daytime. Fuerteventura in April is not too hot (for those who run away from temperatures over 30 °C) and with slim chances of rain, you'll be able to combine sunbathing with visiting the island, since you won't have to hide away somewhere inside during the hot afternoon sun. The average high temperature in April in Fuerteventura is around 23°C, while at night you can expect temperatures of around 17-18°C. As long as the sun is out you will be just fine in a T-shirt and shorts, but you will probably need a jacket on most nights as it tends to get nippy. The highest temperature ever recorded in Fuerteventura in April (at Airport station) was of 38°C and the lowest was of 9.5°C. Since the island is mostly flat, the temperatures stay pretty much the same across all major resorts in Fuerteventura: Corralejo, Caleta de Fuste and Costa Calma & Morro Jable. 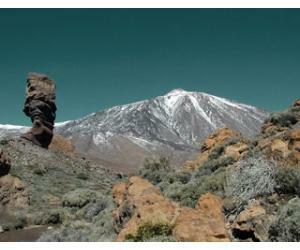 Although the temperatures might similar, the north tends to be cloudier, while the south gets more sun (this is actually consistent throughout the Canary Islands). 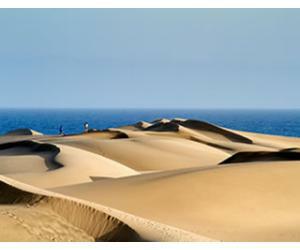 April does not see much rain in Fuerteventura, with an average rainfall of just 5 mm per month. 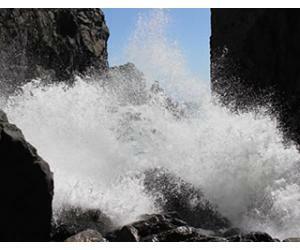 Only one rainy day is expected in April on the island, so pretty much all the precipitation happens on one occasion. Fuerteventura gets an average of 8 hours of sunshine per day in April, so it's like a complete day at work, except that it's filled with sun, cocktails and relaxation. 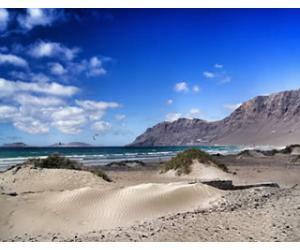 Can you swim in Fuerteventura in April? With an average of 18.8°C / 65.8°F, it's still to cold to swim and you may need to find a heated pool if you want to cool off during the warm and sunny days. April is a month for family holidays in Fuerteventura, due to the school holiday, so our recommendations are for things that you can do along with the children, keeping the whole family entertained. Located towards the southern part of Fuertevetura, in La Lajita, Oasis Park is a zoo set up on a vast piece of land, so it will keep you busy for the entire day. There are some shows that you can see when you visit the park, so you can sit down to take a break from walking. We've eaten lunch at the park when visiting, and the food was ok (nothing to write home about) and at decent prices (there are several restaurants in the park). There's also a huge cactus garden, so there's a bit of a botanical garden as well mixed with the animal park. This is something the kids love and you can spend the day together trying to learn how to fly it. There's enough room on the beaches in Fuerteventura to do your thing without bothering anyone and it's a nice way for parents to spend time with the little ones. Semana Santa is a big thing in Spain and there will be many religious processions at the various churches on the island. 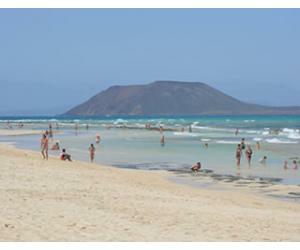 It is also a busy time in Fuerteventura, as many people are searching for a bit of warm sun during their Easter break.